The social justice program’s final segment will be a two part series on climate issues, analyzing the effects of capitalism on the environment and developing ideas for systematic change. When: Saturday, April 11 from 9 a.m. to 4 p.m. According to the West Michigan Environmental Action Council’s (WMEAC) Climate Resiliency Report, underserved, low-income and minority population areas will be disproportionately affected by climate change in Grand Rapids. Change U, offered by the Milton E. Ford LGBT Resource Center, opens up the floor to discussion about these issues and how the community can take action. On Friday, April 10 at 6 p.m., the screening of the documentary Earth at Risk will be followed by a discussion in Room 2263 of the Kirkhof Center on the GVSU Allendale campus. An activist panel, breakout sessions, lunch, skill building sessions and a general activist assembly will be held at the John C. Kennedy Hall of Engineering in Grand Rapids on Saturday, April 11 from 9 a.m. to 4 p.m. The event is free and open to the local community as well as students and staff. Two of the key points that will be discussed at the event is that “green” capitalism is not a solution to climate change and that collective climate justice must be achieved through the development of strategies and the use of tactics that rely on direct action. “We cannot buy our way out of this crisis and promoting ‘green’ consumption only perpetuates market-based false solutions and distracts us from investigating the profit driven, growth mantra that capitalism thrives on. We must reduce our collective consumption and imagine entirely new ways of living,” says Jeff Smith, lead facilitator of Change U. Smith has been involved in community organizing and social justice work for 30 years. “Non-human species are suffering tremendous habitat destruction from climate change. Communities of color, which are already experiencing hunger and poverty at disproportionately higher levels globally, are more susceptible to displacement from climate change symptoms such as flooding, drought and extreme weather,” Smith says. The activist panel will include Briana Ureña-Ravelo, who will be speaking about the climate crisis and white supremacy; Lee Sprague, a Native American who will talk about the climate crisis from an Indigenous perspective; Kevin Holohan, a GVSU professor who will be speaking about education and climate justice and Smith, who will be speaking about militarism and imperialism as it relates to climate justice. Three breakout sessions will be provided for further analysis of issues surrounding the topic. 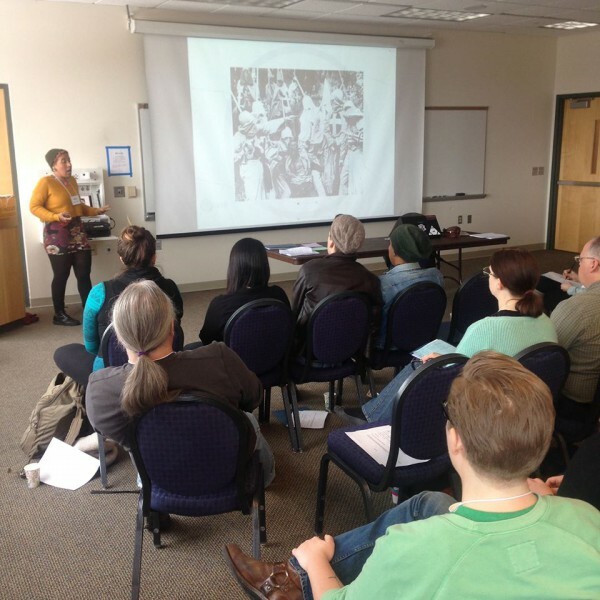 Topics will include education, animal liberation and “Climate Justice 101.” The sessions are designed to facilitate conversation on how practicing climate justice will need to look like in Grand Rapids. Emily West, LGBT coordinator at the resource center, will be presenting on animal liberation during the breakout sessions. Holohan says his presentation on education will provide insight into the historical, philosophical and cultural discourses that frame the natural world. He believes that education often reinforces a sense of human superiority to things outside of the human world. Collectively he hopes the group will be begin to envision ways of reversing these trends.